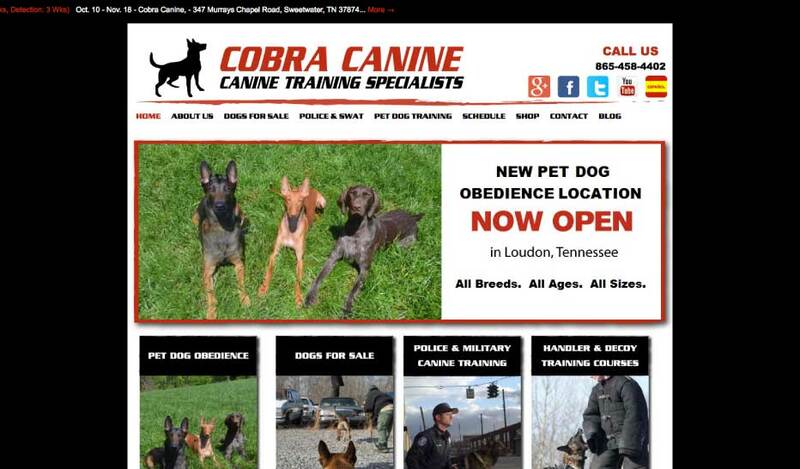 Cobra Canine is one of the top recognized K-9 trainers in the world. This esteemed organization’s trainers train dogs from all over the world from obedience and self protection to detection, bomb-sniffing, special ops, military and police. Cobra Canine has dogs in service from California to Afghanistan to South America to your neighborhood park. Checkout cobracanine.com for more info.